It seems so obvious but did you spot it. Did you make a note that sometimes when you are up against a wall, it is so easy to defocus and convince yourself, if it’s not meant to be then it’s not meant to be. This is the difference between the winners and the losers. Between the also-rans and the high flyers. They dig deep for that extra effort. They get deeper into the moment. They savour and enjoy the chase. These are the things that make the difference. A long distant runner was telling me how he had come second, just one tenth of a second behind the winner. He was excited because it was for his country and a possible place in their Olympic team. I wondered what he could have done to be one tenth of a second in the lead. People who do that are those who say never give up to themselves and when their world is about collapse in on itself, and then suddenly with one more concentrated push the wall comes tumbling down and the world gets to see another winner. Winning may be a state of performance, but first of all it is a state of mind. Being clear about the value of what you want and what effort or resources you are prepared to invest is of prime importance to success and winning. When the first hurdle comes along being and staying focused and knowing it is okay to just take a little longer than you planned or doing it a different way is the key to winning. This is what makes real and sustained winners. There are millions of stories of those who hit the wall and gave up, but just hundreds of stories of those who really believed and were ready to make that extra effort and then switched on the lights of success. 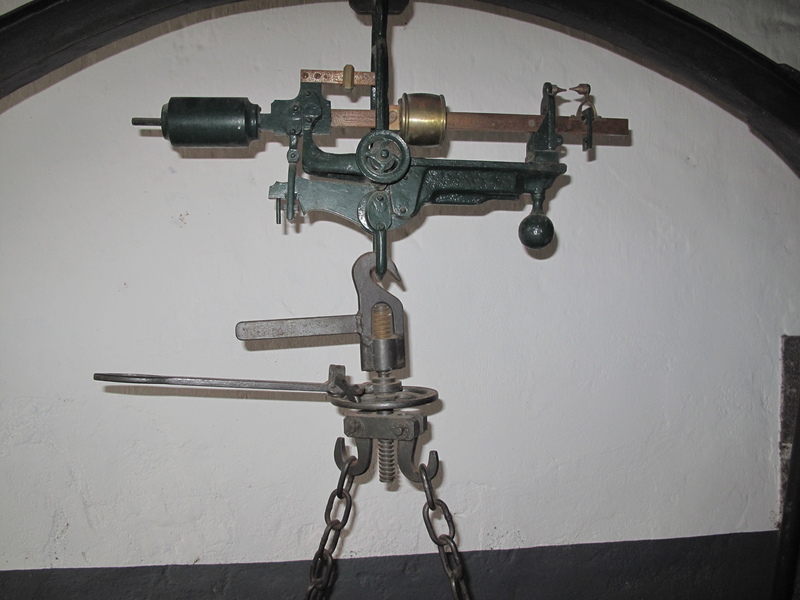 Did you know that Thomas Edison made 1000 attempts to make the first long lasting light bulb work? Now that is sustainability and not giving up on a good idea. Detailed planning, research, development, stamina, persistence and truly understanding that what you want can be done, it is just a matter of finding how, these are the keys to success. How often have you though how relatively few great people there are or how many inventors or entrepreneurs go to the wall only because they did not fully understand exactly what or which thinking strategies create the great success? The masses believe in luck, being lucky or unlucky and never question it. Those who understand, including the great movers and shakers believe in making their own luck, maintaining a lucky frame of mind and if they are unlucky, that is to say things do not go as planned, they immediately find out why and change it. You will of course realize the above are learnable skills, they do not just happen by some passing good luck. The foolish waste time and energy hoping for opportunities to happen their way. The smart make their own opportunities, when they want them, the way they want them. 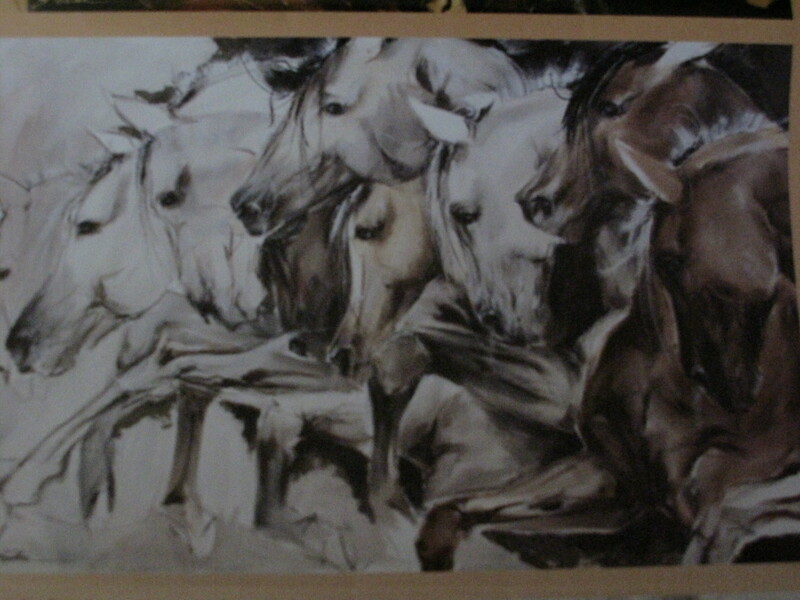 And then when an unexpected opportunity does come their way, they grab at it and act without delay. Remember this; every opportunity whether you make it yourself or it is happen-chance, has a shelf life and the expiry date is not written on the packet, so hesitate or dilly-dally on the way may only lead to regret. The message is to take full charge of your life and what you are doing also take full responsibility for the consequences. Succeed and accept the success and honour. Mess-up and accept the mess and the dishonour. It is your choice. Place the blame on others when you mess-up and you are guaranteed to mess –up again in the same way only because you cannot accept the brutal honest truth of where or how you messed up. There is an important psychological reason why this happens. The explanation is in Robert Denton’s new book – High performance after Burnout. Though the book explains many new and powerful mind and thinking strategies for high performance without high stress, it all started when Denton hit the famous wall in the form of serious burnout and the aftermath of – ‘want to but cannot’ syndrome . The book talks of a mammouth effort to get well and back to what he so ably did before. The wall stood tall and strong and resisted all his efforts. It was soon after as he discovered the terrible damage done to his body that he realised going back to what he did before was not the solution. Months of self analysis and every thing he had done for decades to ratchet up his stress levels in the name of company growth and improved profits was the brutal honesty that showed him the only way was forward and in a completely different way. Years later he had unravelled an inner intelligence he calls the 7th sense of survival and self protection. It is this intelligence that creates the wall and only by working with this 7th sense intelligence was he eventually able to go forward and beyond that monster barrier. 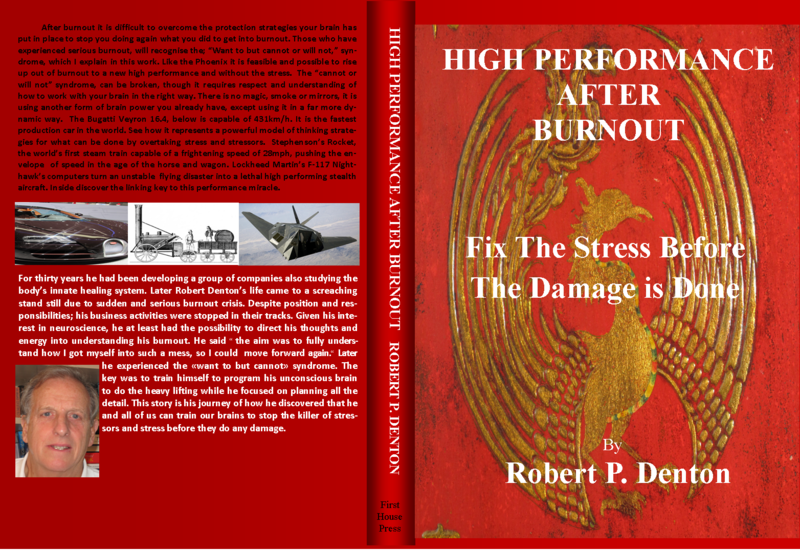 High Performance after Burnout is available at Amazon.com > books > High Performance after Burnout > Author > Robert P. Denton. Quality of life and good health is all about balance. How is the balance of your life? What signs do you recognise that are telling you your balance is not all it could be. How long have you been telling yourself you will get around some time to fixing those things? Maybe you have recognised some signs but had no idea what they meant. Are you prepared to look deeper and do something before it is too late. Remember; too late is really too late. The words Breaking through the wall, will remind you to stay focused and always aim to be the winner. ← How does Neuro-fault Protection work?